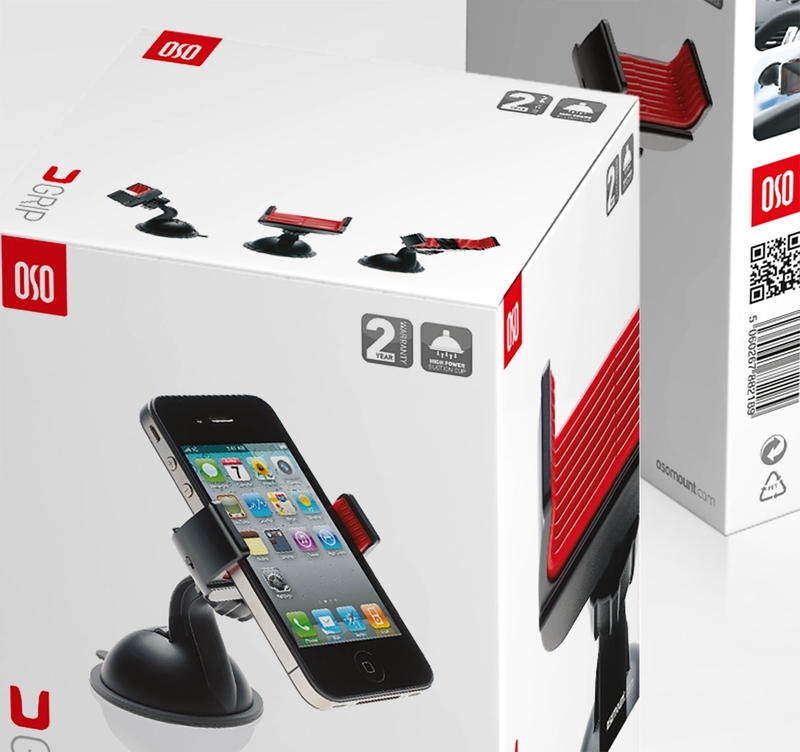 Packaging design for a range of mobile phone holders and accesories. 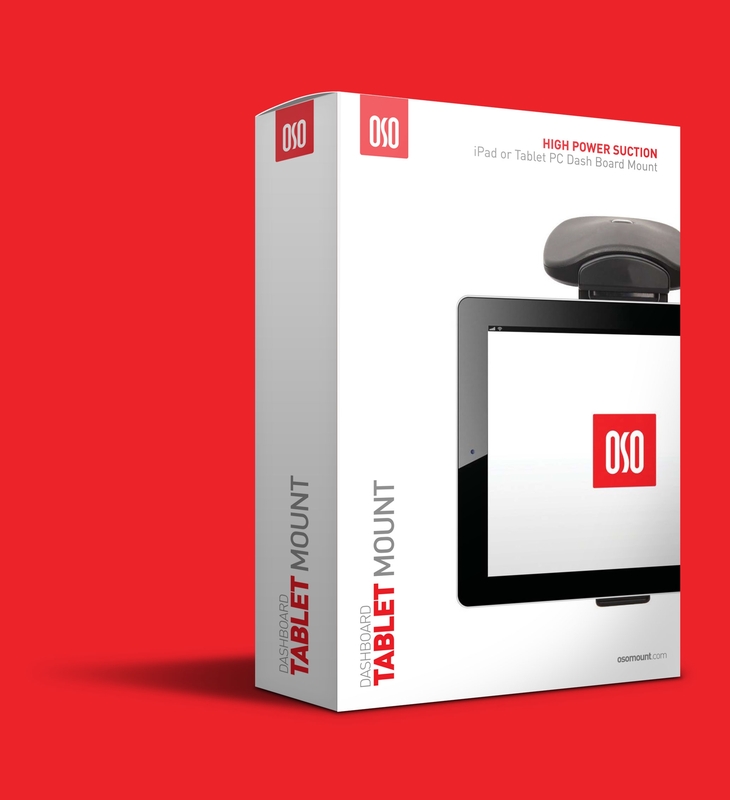 OSOMount offers a selection of phone holders, car mounts and dashboard mounts to allow consumers to safely use in-car equipment, including sat navs and smart devices, on the road. 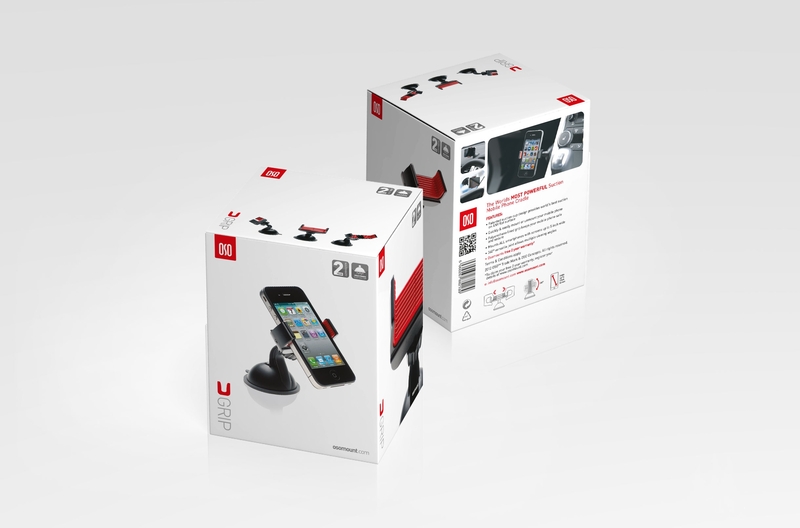 The products also enable drivers to utilise hands-free capabilities on their mobile phones and tablets while keeping their hands safely on the steering wheel. OSOMount asked us to capture striking product photography of each item in the range, as well as tasking us with developing a new packaging design for the brand. After shooting the products in our in-house photography studio, we created a new clean and crisp packaging design solution that highlighted the high-tech, innovative nature of the OSOMount products, while also ensuring the brand stood out. Taking inspiration from high-end technology brands, the packaging design was predominantly white, with an accent of the OSOMount’s red tone, lifting the branding and allowing the products to really catch the eye.